A full range of above ground products in lightweight, low maintenance, durable plastic is stocked by JDP. 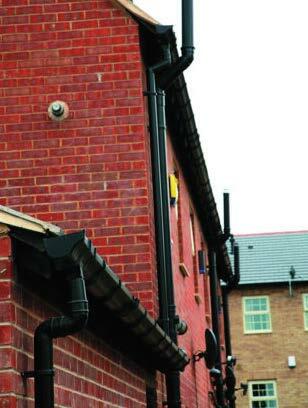 JDP can supply the complete system in a range of colours. Soil and vent pipes for WC’s, waste systems for sinks and bathrooms and appliances, fascia boards for roofline protection and rainwater systems to take the water from the roofline to the underground drains. The range includes the new “Cast Style” Rainwater and 110mm Soil systems.